Looking forward to my next churro…………..
About a million years ago they had some delightful strawberry sugar you could get instead of cinnamon. I do not like cinnamon, so this pleased me greatly. 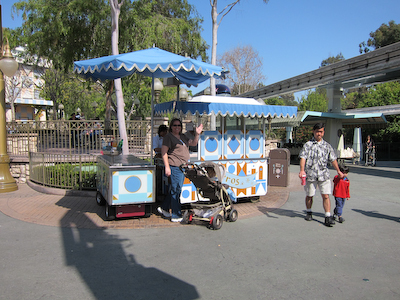 I am not sure I have ever forgiven Disneyland for discontinuing the strawberry sugar. Then again, no one seems to remember this but me…but I swear I’m not making it up. You’re not making it up, Tia! They had apple cinnamon too. You could get regular cinnamon and sugar, strawberry, which tasted like Froot Loops, and apple cinnamon. I don’t know how long they had that for, but I had one in 2001. I LIVE for the holiday cast party when the churros are half price. I always get (and eat) two for dinner that night. 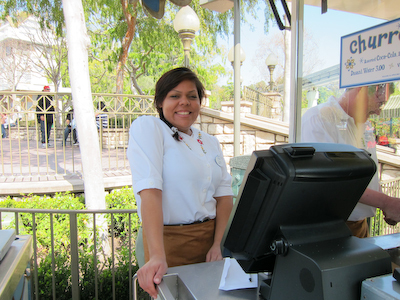 Hey Shelby, I can put you in touch with someone who knows EXACTLY how Disneyland popcorn is made. I thought the recipe was a big secret 😦 Why do you have to spoil the magic? 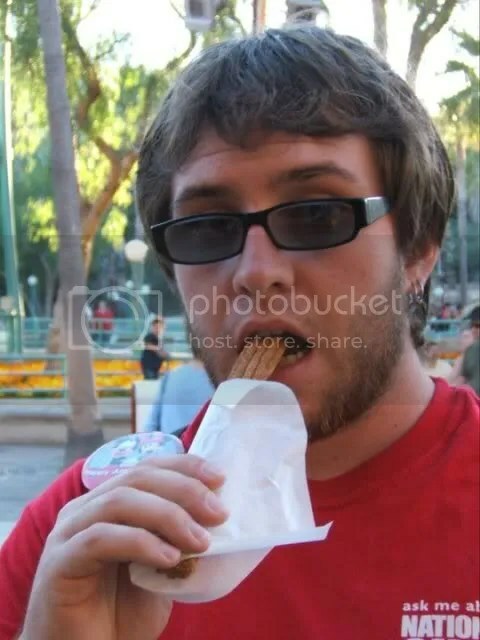 I am ashamed to admit to you that I have never eaten a churro or popcorn at the Magic Kingdom. I promise to correct that on my next visit to either park. Guess what! 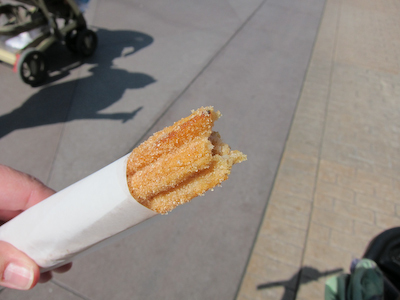 The churros at the Costco in WA are almost as good, like 99.99% as good, as the ones at Dland. AND they are Costco size! Another reason to visit the PGs! 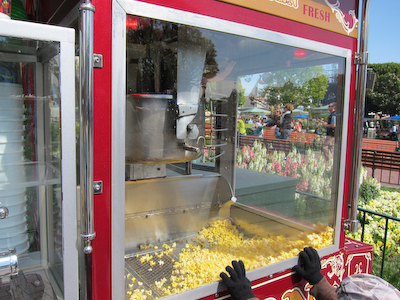 In the summer, on the path to Critter Country, sometimes there’s a special popcorn cart that sells honey caramel corn. It is sooooooooo good. I never saw it last summer so it may have been the victim of budget cuts. 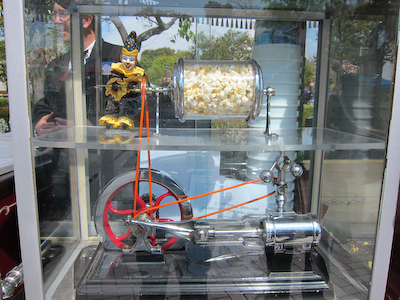 But oh my god, i don’t even like popcorn but I would do almost anything for a bucket of that honey caramel corn. 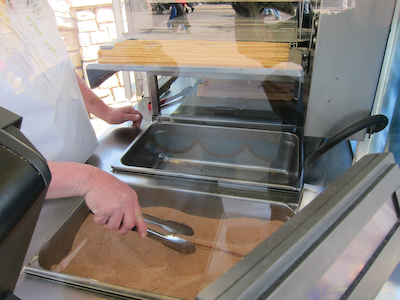 During Mardi Gras week, they added purple, green and gold colored sugar sprinkles to the churros served in the New Orleans area of D-land. I swear they tasted even better. No time to take a picture as my kid practically inhales those things. I don’t like churros. But, everyone keeps telling me that is because I haven’t tried the right ones. I’m headed to D-land later this week, so I think it may be time to try one there. I have had their popcorn — it IS truly amazing! 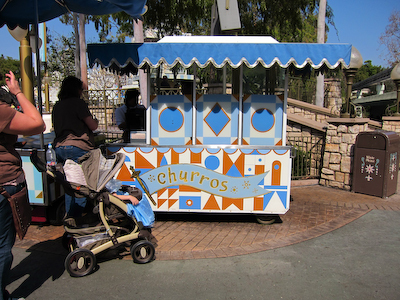 I had to share this, as Churro’s are what sold my fiance on Disneyland in the first place. OMG, that is FABULOUS!! Can I put it on the blog??? LOVE IT! 😆 Maybe I’ll do a “churro love” post–send me your churro shots!! !